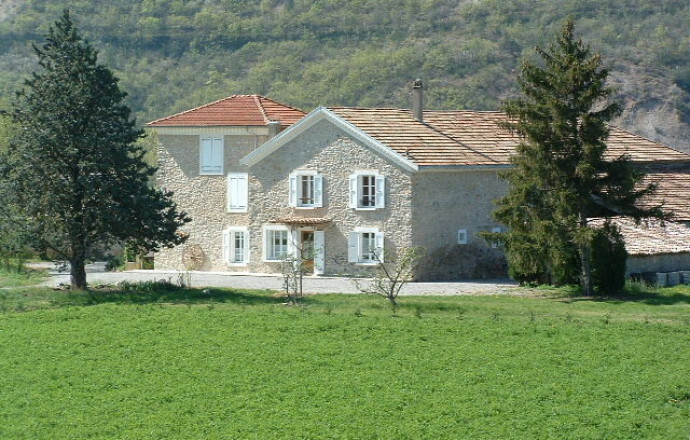 Situated in a 19th century renovated farm, big gite in traditional style. 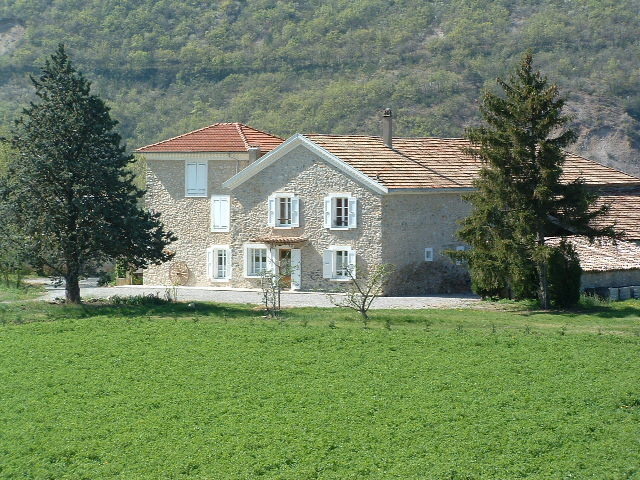 Adjacent to 2 other gites. Living room with open plan kitchen, dining area and lounge (TV, washing machine, dish washer, freezer). 1st floor : 4 spacious bedrooms (3 double beds, 4 single beds). 2 shower rooms, 2 toilets. Central heating. Spacious private outdoors area. Car port. Garden furniture, barbecue. 1 km from the village. Situated in the Buëch valley, near the Sisteron citadel, the Méouge Canyon and the medieval villages of Serres an Orpierre. From October 20 to November 11, 2012, inclusive, for all stay at least one night in these deposits of stay or bed and breakfast an extra night will be offered to you, and to the agritourism promotion-25% on your rental rate will be granted. Local activities: Situated between Provence and the Dauphiné, Laragne and its surroundings have many activities to offer: a hang-gliding site with an international reputation, lakes, leisure parks and numerous possibilities for riding, hiking and mountain biking. Places to visit: Laragne village has a magnificent fountain, some churches and old districts. Worth visiting: the hilltop villages, Méouge gorge. The 14th century church in Upaix and the Chapelle des Pénitents, Lagrand and Ventavon roman churches. The small village of Pomet. Proprietaires très arrangeants et sympatiques. 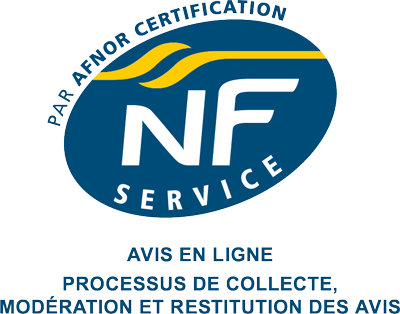 Villa pratique et bien agencée. Magnifique cadre. Je recommande vivement.